Why can't I hear audio using Player for iPad? Are you using Player for iPad to play an audio file or a video but can't hear any sounds despite pressing the physical Volume + button? Verify that the Mute side switch isn't turned on. If it's on, turn it off. 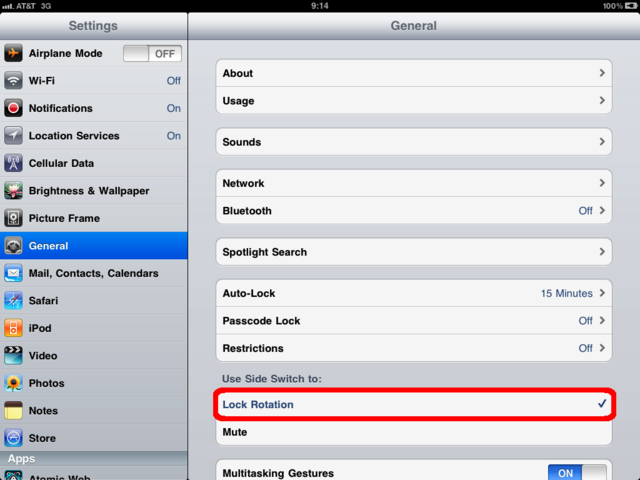 To prevent this from happening accidentally: Change the function of the side switch to "Lock Rotation" using the General settings category of your iPad. See image below; more information can be found here. If you have followed the above directions and you still don't hear the audio for a video, it may be due to the use of unsupported video codecs. See the Player for iPad limitations article for more information.